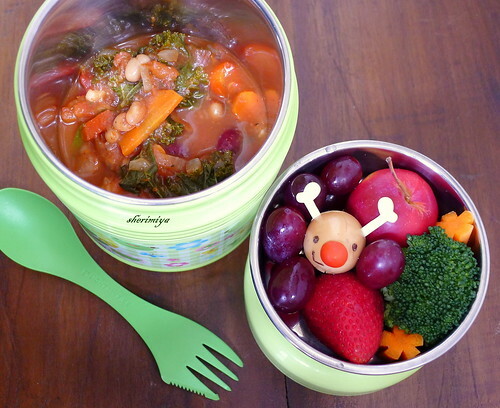 Minestrone Rudolph Bento, a photo by sherimiya ♥ on Flickr. I love this bento and those containers! 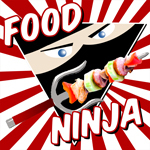 I'll also have to do a thermal bento chock full of goodies. Aw I forgot to put up our tree! Thanks for reminding me! 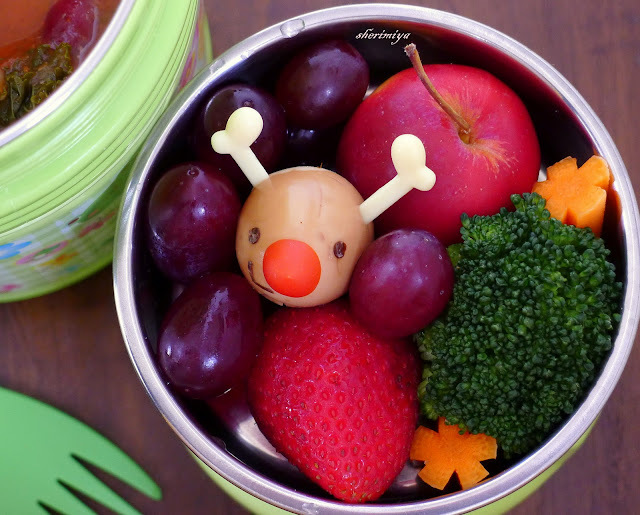 Rudolph is adorable - you are very creative - I would never have thought of a grape tomato nose! I saw a little reindeer made like that on Pinterest just yesterday! I am planning on making one this month. :) SUPER CUTE! The soup looks delicious too. Mmmmm can I have a taste of that minestrone? ;) We'll be having bean & bell pepper stew for dinner tomorrow, hope there'll be some leftovers for bento as well! I love it, of course!! I so hope you write a book Sheri!! I'll buy it immediately on line; pay three times it's cost to ship to Finland...and do a major happy dance at the mailbox when it arrived!Lol, Anyways, this lunch is a perfect Holiday welcome!